Author Bio: This article was originally published at Savings.whitefence.com. WhiteFence.com aims at providing cheaper and easy accessible home services and utilities to homeowners, who are overpaying unnecessarily. This is a platform for comparing the prices of service providers. Here people can find lowest prices and can get free quotes. This reduces, in a way, the expenses on phone, cable, Internet, electricity, natural gas, and more..
You may rarely see them, but air filters are present in a multitude of everyday household appliances and equipment. These air filters are essential components, which mean that they need maintenance and care. Many air filters are replaceable, but with a little spring cleaning every once in a while, you will get the maximum return for the money you spend. Each different type of air filter requires specific cleaning methods, as certain cleaners are not suitable for all filters. These twenty blogs deal with some of the most common types of air filters you will find in your home and garage, and how you can effectively clean them. Having your car’s air filter cleaned at a mechanic's shop can come with a lofty price, so it might be a good idea to do the job yourself. This is not something you should attempt without if you don’t know what you are doing, though. There are dangerous components under the hood of your car – caution is advised at all times. The four blogs in this section are from experienced mechanics, who will guide you through the process of cleaning the air filters in your car. The most common types of air filter you will encounter can be found in your air conditioning unit or furnace. Failure to keep these air filters clean will both degrade the quality of the air in your home and reduce your energy efficiency. Thankfully, the systems that use these air filters are designed to allow for easy cleaning and maintenance, so it is a job that you can do yourself. Always check your maintenance manual for specific instructions before attempting to clean these filters. In these four blogs you will find hints and tips on how to give your furnace and air conditioning filters a longer, more productive lifespan. A number of large appliances in the home have some sort of air filtering system. For specific appliances not covered here, you can refer to the manufacturer’s website or user manual. However, the four blogs in this list deal with some of the most common types of air filters in the home. These filters are expensive to replace, and you can save yourself a lot of money by performing some simple and frequent cleaning. Don’t put it off and end up with an expensive repair or replacement bill for a job that will take you twenty minutes at most. One of the major causes of overheating in computers and laptops is inadequate distribution of air flow across essential components. Both the fans and vent need frequent cleaning, to ensure that the device does not overheat and cause components to burn out. 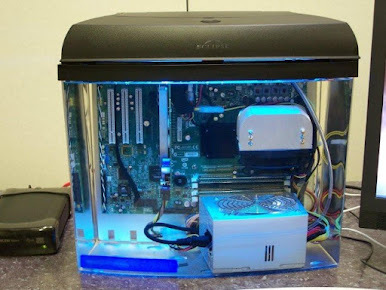 However, computers also have software related faults that can cause problems with filters, so you need to ensure that they are clean both mechanically and virtually. For everything you need to know on keeping your computer or laptop in the best shape, visit these four expert blogs. You may suspect that fish tanks are the least complicated item in this list, but you would be wrong. Fish tanks use a combination of filters and pumps to distribute air and other chemicals, in order to create a balanced ecosystem that is perfectly suited to its aquatic inhabitants. This ecosystem is only sustained by frequent cleaning of all the elements that make up the filtration system. Neglect to maintain one component, and the entire system collapses. In these five blogs you will find detailed instructions on how to properly clean and maintain fish tank and aquarium filtration systems.